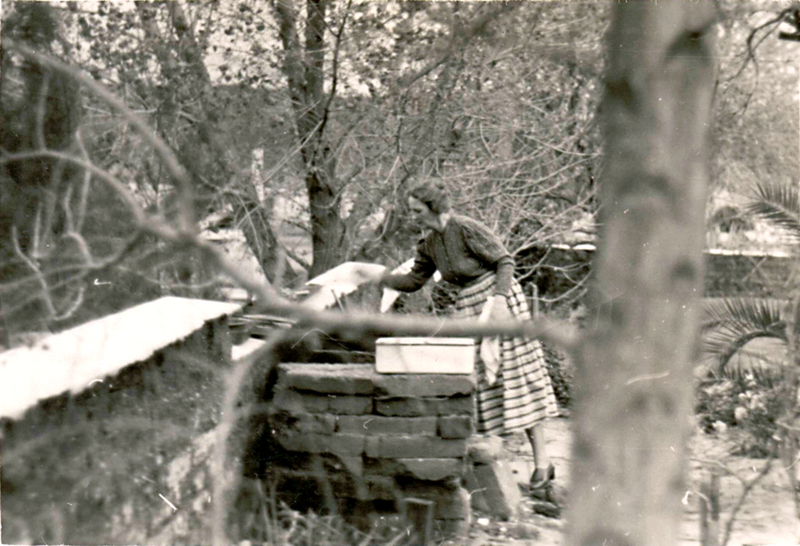 Olive Carey working at the ranch in Saugus — much of which later became the Tesoro Del Valle subdivision. Undated photograph. Olive Carey, wife of silent film star Harry Carey and mother of actor Harry Carey Jr., was born Olive Fuller Golden on Jan. 31, 1896, in New York City. She made her first known screen appearance in 1912, when she was 16, in a one-reeler for Selig Polyscope called "The Vintage of Fate." That was followed in 1913 by two D.W. Griffith pictures for Biograph: "The Perfidy of Mary" starring Dorothy Gish, and "The Sorrowful Shore" starring the man Olive would marry in 1916. He was 18 years her elder. With the marriage, Olive quit motion pictures, and before the year was out, the couple moved onto a homestead at the mouth of San Francisquito Canyon in Saugus. 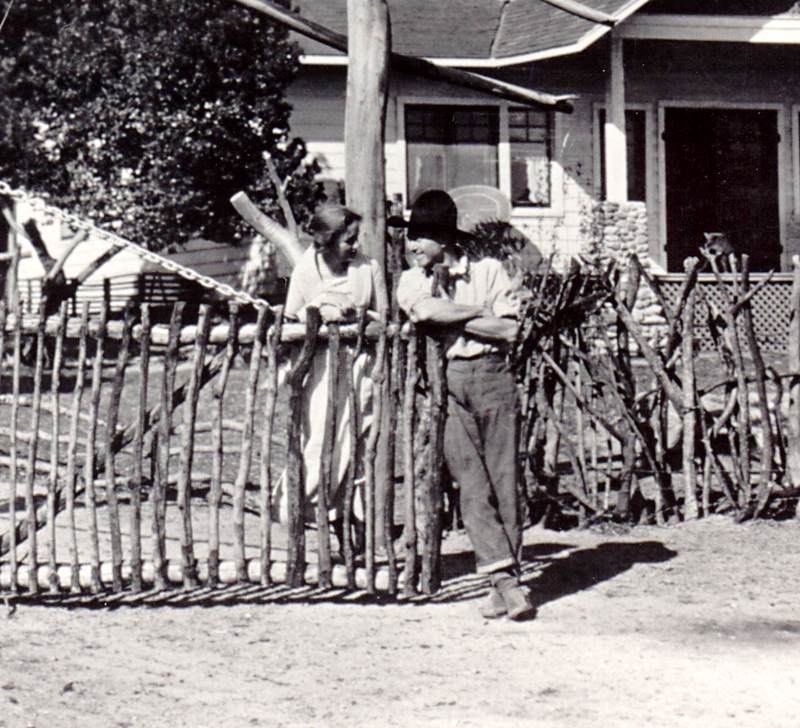 While Harry continued along his path to movie stardom, the couple ran the Saugus property as a working ranch with occasional filming and eventually turned it into a tourist trap with a trading post staffed, among others, by Navajo Indians who lived on the property. In 1921 Olive gave birth to their first child, Harry Carey Jr. (aka Dobe), followed in 1923 by Ella Carey (aka Cappy). Olive sent them to Newhall School. Olive came out of retirement in 1931 when the family trekked to East Africa to make the feature "Trader Horn" for Irving Thalberg at MGM. She appeared in a couple episodes of the 12-part serial "The Vanishing Legion" starring her husband, and worked a bit more until 1935 when she retired for a second time. In the 1940s, Dobe was away in the Navy and Harry and Olive Carey were spending much of their time in New York. They never rebuilt the trading post after it was wiped out in the St. Francis Dam Disaster of 1928. They did rebuild the main house after it burned down in 1932, but by 1945 the Saugus property had outlived its usefulness to them and they sold it. Olive Carey lived out her days in Carpinteria, where she died March 13, 1988 — the 60th anniversary of the flood that wiped out the trading post and swept away at least 431 people. She was 92. DC2603: 9600 dpi jpeg from original print courtesy of Harry Carey Jr.